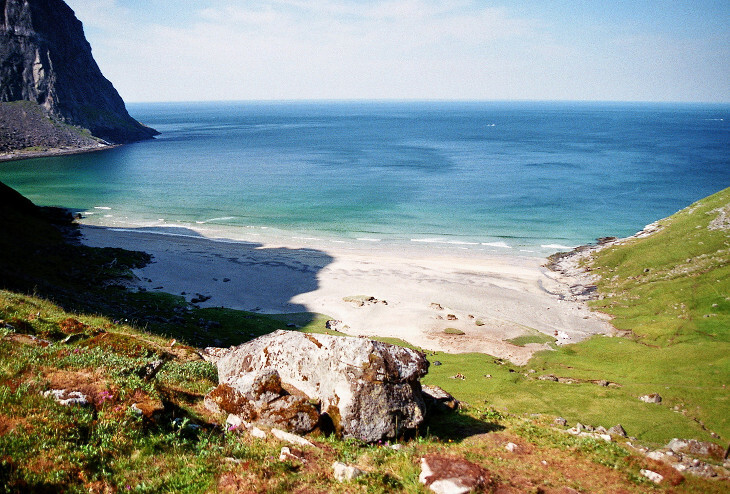 The photo was taken on the Norwegian island group Lofoten in the summer of 2014. It shows the bay Kvalvika, translated "whale bay". In this part of Norway the weather can be a bit rainy and a "warm" summer day can have temperatures of 15°C (59°F). Will the laundry be hanged outside to get dry after having been in the washing machine or will it be hanged outside to get clean before being put into the dryer? In 2012 such thoughts were not too far fetched. In 2014 norther Scandinavia had a centennial summer, that became known even in other parts of Europe. The temperatures were really summer like and for a longer period of time around 30°C (86°F), it was sunny and the experience was even better than 2012 in the same area. Our experience has tought us to be slightly pessimistic with IT projects and maybe also construction projects when it comes to finishing on time and within budget. Deadlines are not kept, the quality is not as much as expected and the costs are exceeded. That is quite true and several IT projects have such issues. But it is a good idea to keep the eyes open for the positive. Some projects actually prove to be eventually successful. There are many projects that are interesting, achieve something useful, are helpful for the customer and worth the investment. There are even projects that are finished within time and budget and still provide the desired and expected quality. We should learn from negative experiences, but never give up to implement good solutions and to perform successful projects.